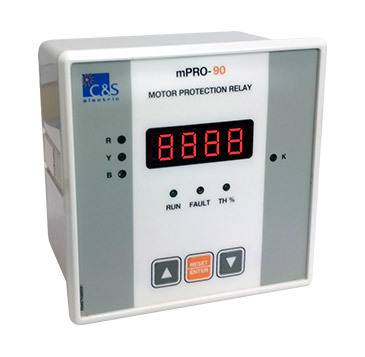 The mPRO-90 protective relay is an advanced current based numeric relay that provides multi protection and monitoring. The relay offers reliable protection for LV and MV motors which are either operated via power contractors or power circuit breakers. Every motor failure causes a production stop and costs for service. A cable cut, phase failure, short circuit or overload can destroy the motor or pose danger for the whole production line and for the people who work there. Motor Control Center (MCC) application. Integrated Process & Electrical Control with Protection. Can be used in inverter control circuit (20-200 Hz) .